Jill Gusukuma assists with a myriad of projects, details, and logistics pertaining to performances, events, recruitment, travel, daily operations, and much more. She also serves the Dean’s Office by assisting with a number of different School of Music ventures, including the Semper Pro Musica Solo & Chamber Music Competition. 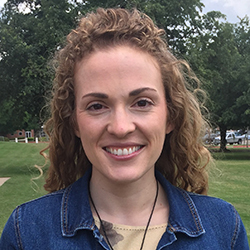 Jill is a two-time Baylor graduate, with a Masters in Music Education (2012) and a Bachelors in Music Education (2010) in choral music.